Camels may be called the ships of the desert, but ancient, mummified bones dug from the tundra are confirming that the animals now synonymous with the arid sands of Arabia actually developed in what is now Canada's High Arctic. And those remains from Ellesmere Island -- the most northerly spot to ever yield camel bones -- are also raising important questions about the future of the warming Arctic. 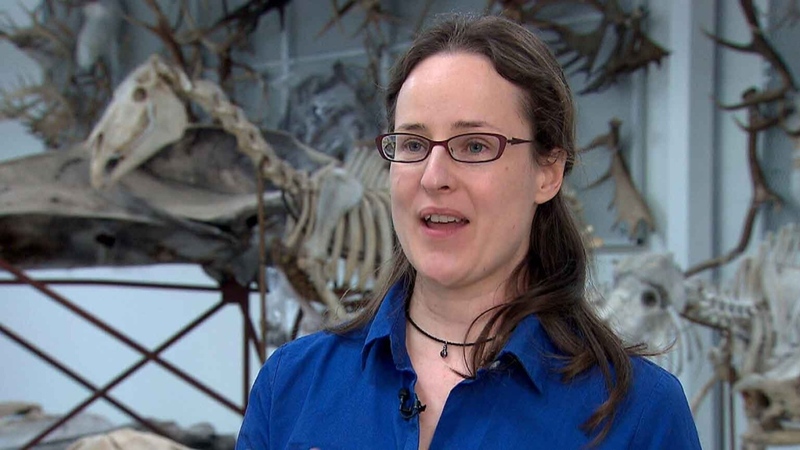 About three-and-a-half-million years ago, Strathcona Fiord on the island's west-central coast would have looked a lot more like a northern forest than an Arctic landscape, said paleobiologist Natalia Rybczynski of the Canadian Museum of Nature in Ottawa. "Larch-dominated, lots of wetlands, peat," said Rybczynski, lead author of a study published Tuesday in Nature Communications. Nearby fossil sites have yielded evidence of ancient bears, horses, deer, badgers and frogs. The average yearly temperature would have been about 0 C.
"If you were standing in it and watching the camel, it would have the feel of a boreal-type forest." The only thing missing, really, were moose. The camel "is taking that moose role, the really huge herbivore," Rybczynski said. The Arctic camel was fully 30 per cent larger than modern camels, she said. Her best guess is it was one-humped. Although native camels are now only found in Africa and Asia, scientists have long believed the species actually developed in North America and later died out. Camel remains have been previously found in the Yukon. What makes Rybczynski's find special is not only how far north it was found, but its state of preservation. The 30 fragments found amidst the sand and pebbles of the tundra were mummified, not fossilized. So despite their age, the pieces preserved tiny fragments of collagen within them, a common type of protein found in bones. Analyzing that protein not only proved the fragments were from camels, but from a type of camel that is much more closely related to the modern version than the Yukon camel. 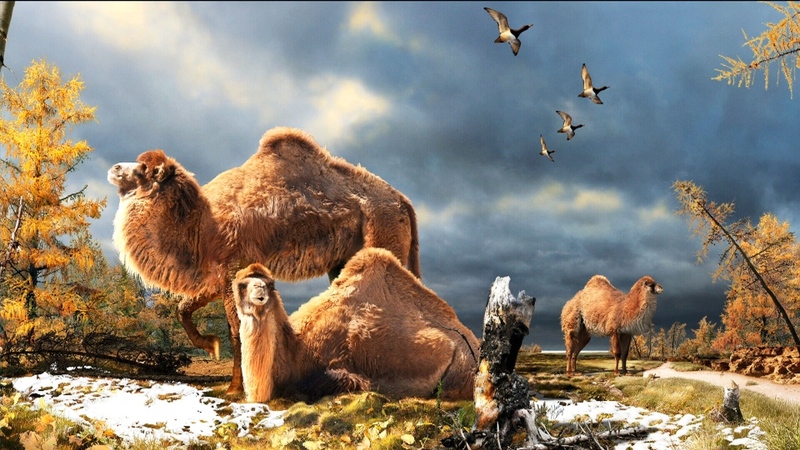 Out of the dozens of camel species that once roamed North America, the type Rybczynski found was one of the most likely to have crossed the Bering land bridge and colonized the deserts. "This is the one that's tied to the ancestry of modern camels." 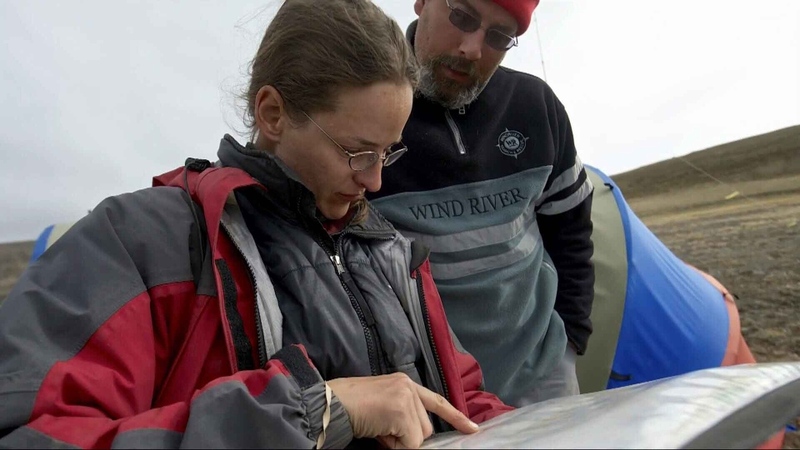 Her research is also important for what it suggests about the Arctic climate. Back when this camel was browsing leaves and shoots, the entire global climate averaged about two or three degrees warmer than it is now. That's about as much a difference as scientists say the Earth can undergo today without catastrophic changes. "This is a super-important time analogue," Rybczynski said. "This is a period of time that's being referred to as a historical analogue for future warming." Climate models suggest that if the entire globe averages a two-degree increase, the Arctic will experience a much greater increase of seven to 10 degrees. But what Rybczynski and her colleagues found, in this and previously published research, is that the amplification of warming in the Arctic was even larger than that. She suggests the Arctic was in fact between 14 and 22 degrees warmer than it is today. 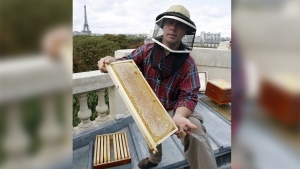 "This is where the fossil record becomes an interesting tool for us," she said. "We can ground-truth these models. "If we can understand why we were getting this crazy warming at high latitudes in the past, maybe we can be more confident in our models and forecasting." An illustration of the High Arctic camel on Ellesmere Island about three-and-a-half million years ago. Natalia Rybczynski of the Canadian Museum of Nature in Ottawa was among the team of scientists who discovered the remains to a hind leg of an ancient camel in a desolate region of Ellesmere Island.